Japanese restaurants are literally all over the Metro. Nowadays, you'd see one everywhere you go. 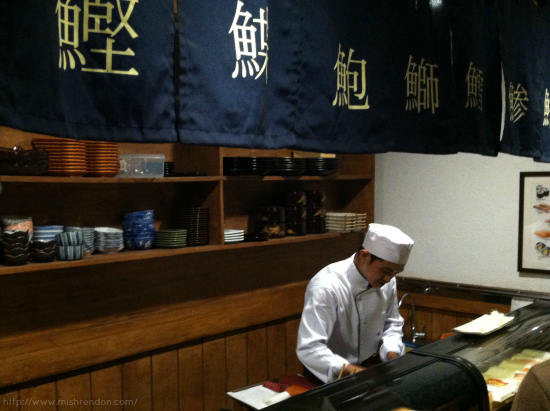 However, it is hard to find a restaurant that offers authentic Japanese cuisine. 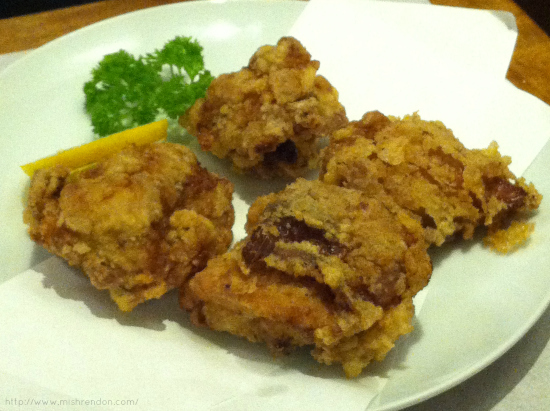 Most of the time, Japanese restaurants tend to tweak their menu to satisfy Pinoys' taste. 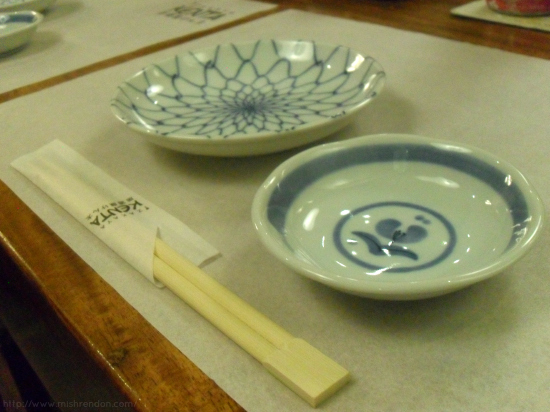 Hence, what they serve are no longer original Japanese dishes. Entering the restaurant is an amazing experience itself. 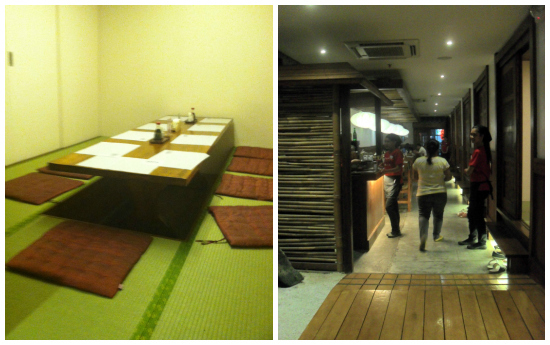 The interior, which was designed by owner, Erwin Medina, is very much like the Japanese bars we see in the movies. There's a sushi bar, individual tables for groups and exclusive dining area for meetings and similar events. Very cozy! 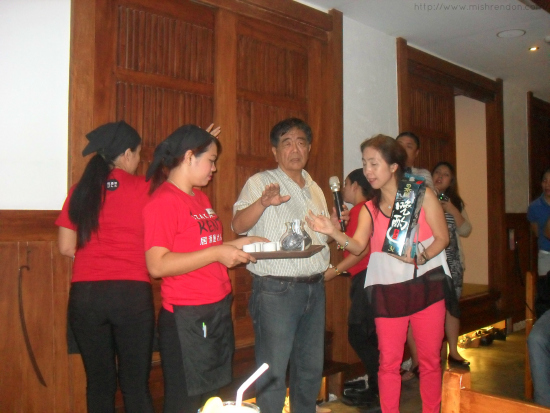 To start off the evening, we were welcomed by owners, Dr. Sakura Medina and Mr. Erwin Medina. 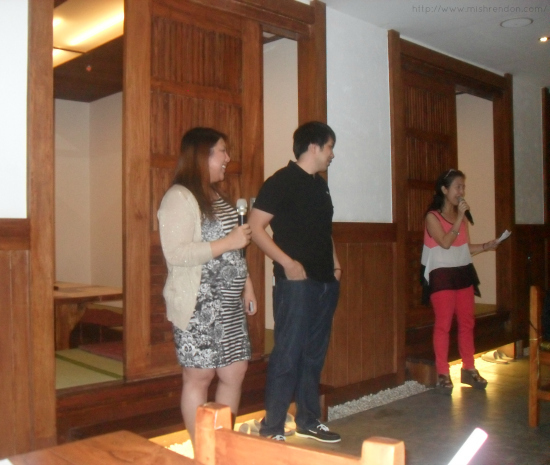 They shared to us, bloggers, the beginnings of the Izakaya Kenta Restaurant in Adriatico. Being raised up in Japan, they were always on the search for the best Japanese restaurant until they discovered Izakaya Kenta (which was still in Pedro Gil). 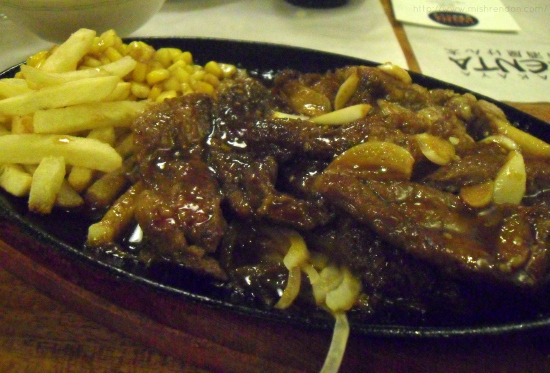 They frequented the place and when the previous one closed, they decided to move it to Adriatico just this year. They wanted to share to Filipinos what they have come to love for the past years. Supagetti Sarada is their version of Spaghetti. This one has a mayo-based dressing and has a very mild taste. The greens are my favorite. They are extremely fresh! As if they have just been harvested. 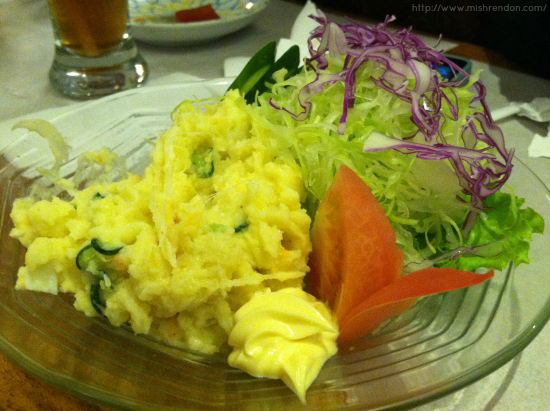 I never really liked potato salads, but Izakaya Kenta's Potato Salad just got my vote! 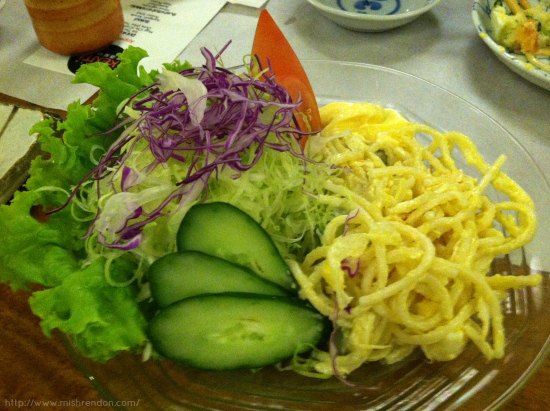 It is not your ordinary salad as it has a kick of wasabi that compliments the mildness of the potato. Don't worry, it is not spicy at all! 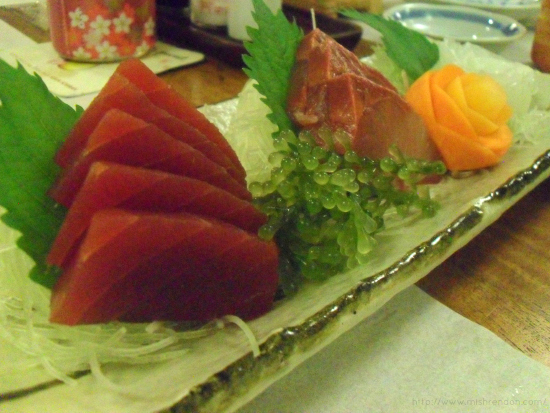 Japanese cuisine won't be complete without sushi and sashimi! 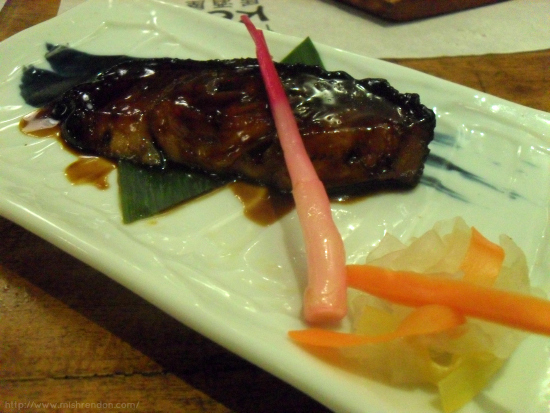 Izakaya Kenta offers nothing but the best ingredients which were actually prepared right in front of you. 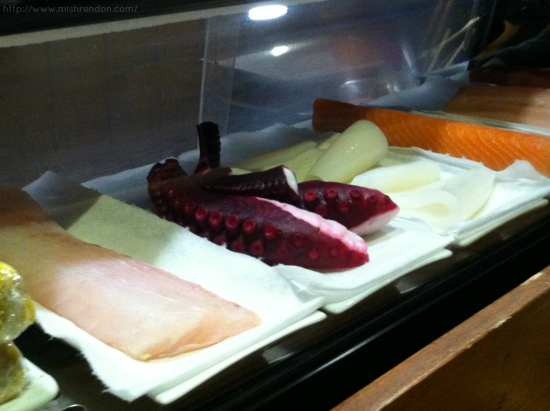 Chef Michael even amazed us with his culinary skills by demonstrating how the Santenmori/Sashimi is prepared. The Santenmori tastes very clean and fresh. Me and my seatmates, Ana and Eli, finished this in less than a minute. I have the exact same sentiments with the Mixed Nigiri-jou. I got surprised though that some of the maki have wasabi inside. 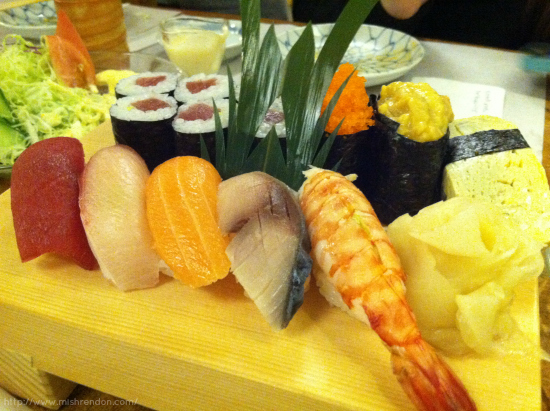 I have to say though that this is the prettiest-looking sushi platter I have ever seen in my entire life! Another favorite is the Tako Potato. It is a version of the Takoyaki, but instead it was made of potato. It has a chunk of octopus inside which is chewy and yummy! The fish flakes on top, called Katsuboshi, are very tasty and they melt on your mouth! For the main course, we were served various dishes which we had with delicious Japanese rice and Asari Miso Soup. These dishes were prepared differently as they would have done so in Japan: from Agemono or Fried, Itememomo or Sauteed, to Yakimono or Grilled. After our appetizer and main course, we were offered sake or rice wine. 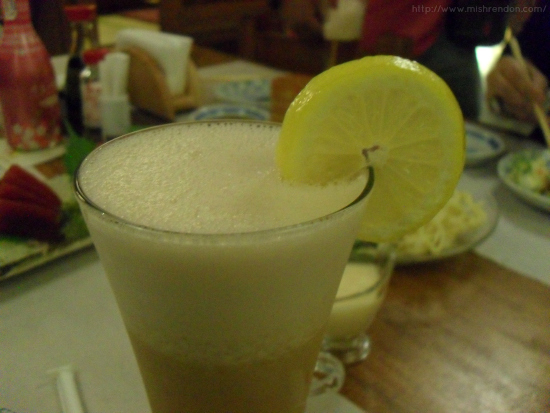 One of the regular customers of Izakaya Kenta explained to us how Japanese drink sake. He told us that these are drinks for the gods. It can be consumed either hot or cold. But I think they prefer it hot in Japan because of the cold weather. I had a sip of sake and realized that I cannot finish one shot. :D I find it quite a strong drink. I though it was a mild liquor cause after all it is just a wine and it's made of rice! 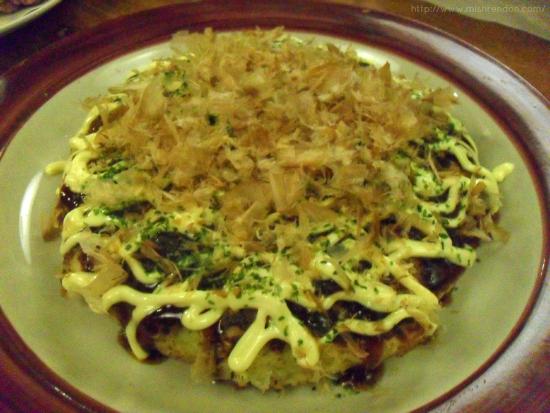 To conclude our meal, we were served this huge Japanese pizza called the Okonomiyaki. 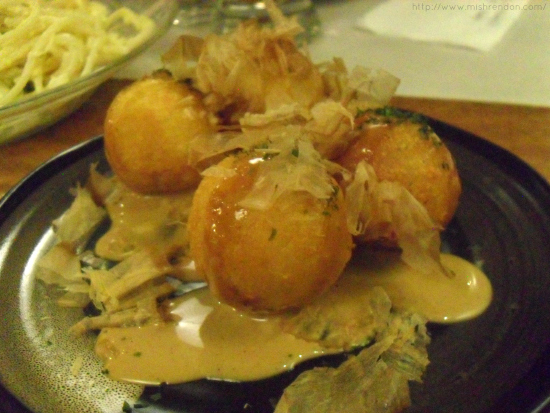 As soon as I tasted it, I realized that it is a huge Takoyaki but it has more filling and it has a richer taste. This pizza itself could definitely fill me up! As for the dessert, we were served Purin and Green Tea Mochi. 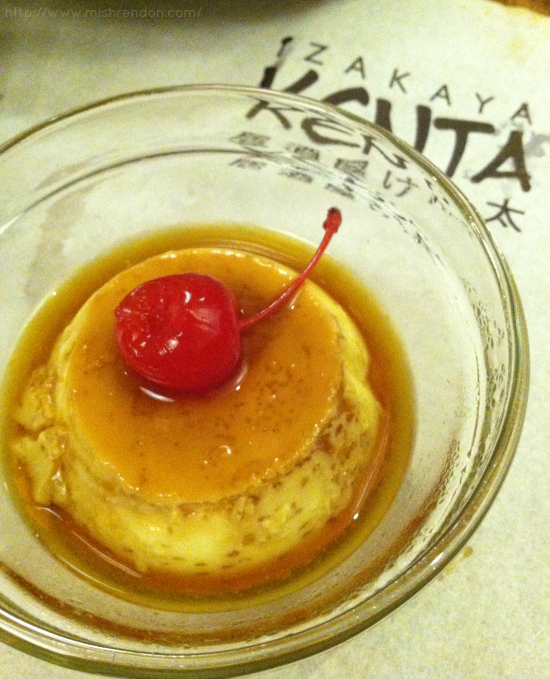 The Purin or Pudding goes perfectly with the cherry on top. 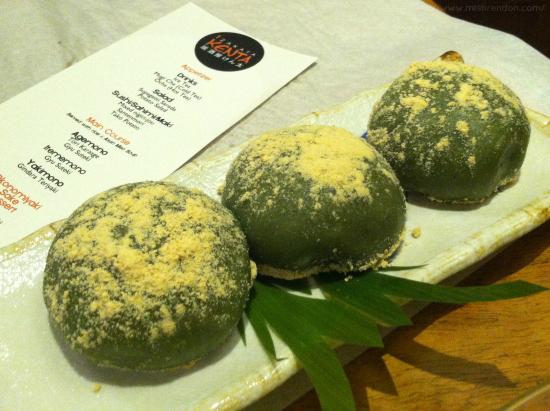 On the other hand, the Green Tea Mochi which was made by the chefs of Izakaya Kenta is not too sweet and has a generous size.